The pop superstar is ready to make her transition to big-screen fame in the anticipated award season hopeful “A Star Is Born,” but revealed why the journey hasn’t exactly been art imitating life. Gaga portrays Ally, an up-and-coming singer who skyrockets to the top of the music industry with the help of Bradley Cooper’s downtrodden country vet Jackson Maine. 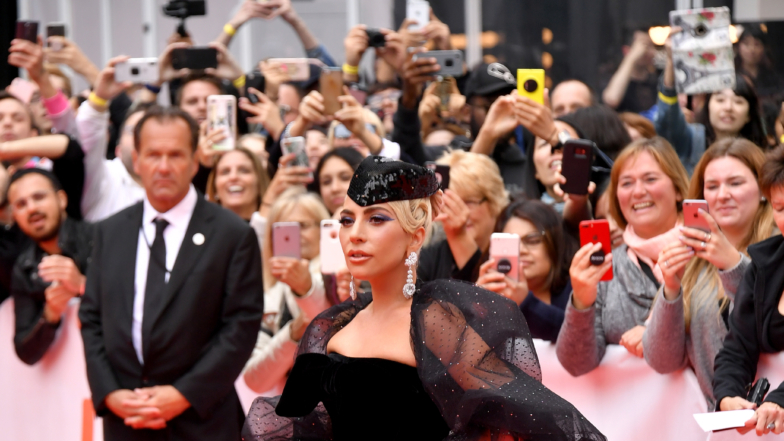 Although many fans have already drawn parallels between Gaga’s career trajectory and Ally’s, the “Joanne” songstress told Access guest correspondent Mike Catherwood at the Toronto International Film Festival on Monday that relating to Ally was a tougher feat than it may seem. “She’s nothing like me, she completely gave up on herself,” Gaga said of Ally, touching upon the focused tenacity she had when pursuing her own success. “When I started out in this business I was like ‘I’m gonna make it’ and I hit the ground running. I was banging on every door to play music and be heard,” she recalled. Gaga went on to explain how Cooper’s character helps Ally find the confidence she needs to put herself center stage, literally and figuratively. “She’s given up, and his belief in her to tell her story, to be an artist, the love that he has for her, that’s what helps her soar,” she said of the professional and personal relationship that blooms between Ally and Jackson. While Gaga shared enthusiasm and appreciation for the opportunity to take on Ally’s story, she explained how needing an emotional and creative boost of her own has never been an issue. Gaga and Bradley have made quite the A-list pair throughout their “A Star is Born” press tour, since first taking the Venice Film Festival by storm last month. The singer and the Oscar nominee have had nothing but praise for each other, and it may help that Gaga isn’t the only one venturing into uncharted territory with the project. In addition to being Gaga’s movie debut, “A Star is Born” also marks Bradley’s first time directing. “It’s a testament to the filmmaker to have such a beautiful message in this movie and I just feel so grateful to be the lead actress in his directorial debut, it’s an honor. It’s an absolute honor,” she said of working with the leading man. “A Star is Born” hits theaters on Oct. 5.